Victoria residents recently demonstrated again how keen many of them are about birding. Preliminary results from this year’s Christmas Bird Count show more than 200 volunteers turned out in mid-December to watch for birds throughout the Capital Region. The birders recorded 144 species this year. Data collected by birders during the count are used to assess and monitor bird population numbers and health in communities across North America. Community organizers select one day from December 14 until January 5, and send their volunteers out to scour a 24-kilometre-diameter area that stays the same from year to year. Ninety-five communities in B.C. have taken part in the annual event this year. The final numbers of species sighted won’t be tallied until the event officially finishes tomorrow. Started by the Audubon Society in 1900, the Christmas Bird Count now provides 114 years of regularly collected data about bird population numbers across the continent. It helps bird scientists and ecologists assess and monitor species health in regions and individual communities. For example, scientists have used information gathered by community birders during the count to get the Western Screech-Owl, Rusty Blackbird, and Newfoundland Red Crossbill added to Canada’s Species at Risk lists. It also provides opportunity for regular people to engage in and contribute to science. In fact, the Christmas Bird Count is one of the longest-running and better-known citizen-science programs going. 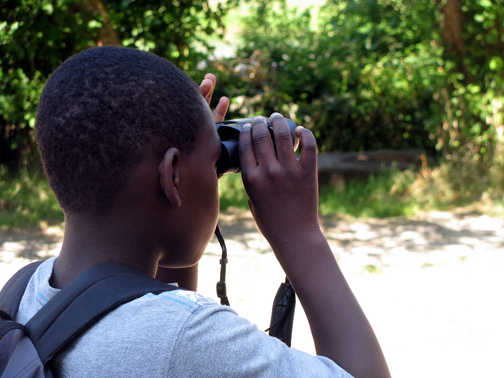 The concept of citizen science has grown in scope, popularity and opportunity during the last decade. Thanks in large part to advances in web technology, folk like you and me, who don’t have Ph.D.s and lack access to science labs, can make our own small marks in the scientific process—and learn more about things that interest us…. View the rest of this article in the Victoria Times Colonist….